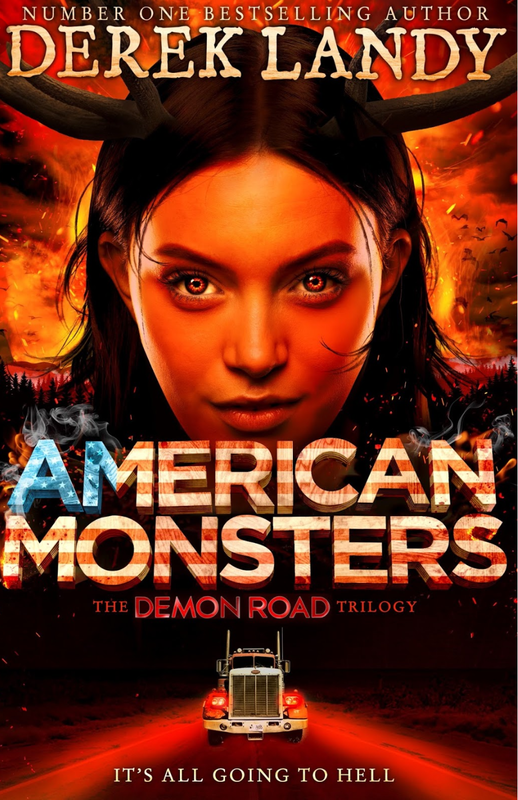 American Monsters by Derek Landy. Amber being the Shining Demon’s lap dog, isn’t really presenting many open opportunities to strike. Actually now that I think about it, I don’t think it’s presented any openings, weakness or opportunities,to strike back at Astaroth. But it has shown Amber scenes she, definitely would opt out on given the choice. She is traveling the country doing The Shining Demon’s business, and surprisingly is growing more willing by the day. The dark shadow of Glen, ever present, but always watching stalking her like prey, but never getting too close. And with the FBI and Demoriel’s minions hunting her down she’s running out of luck. Teen Rating: A solid finisher to an incredible roller coaster ride. 4/5 13+.